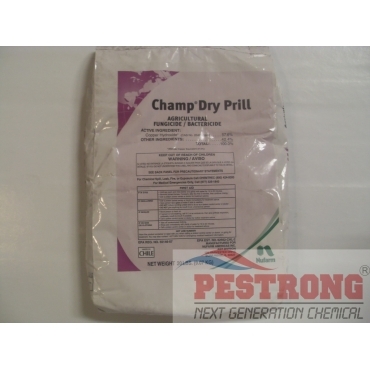 Where to Buy Champ Dry Prill, Champ Dry Prill Copper Fungicide Bactericide - 20 Lb - $129.95 for Sale with Fast Free Shipping! 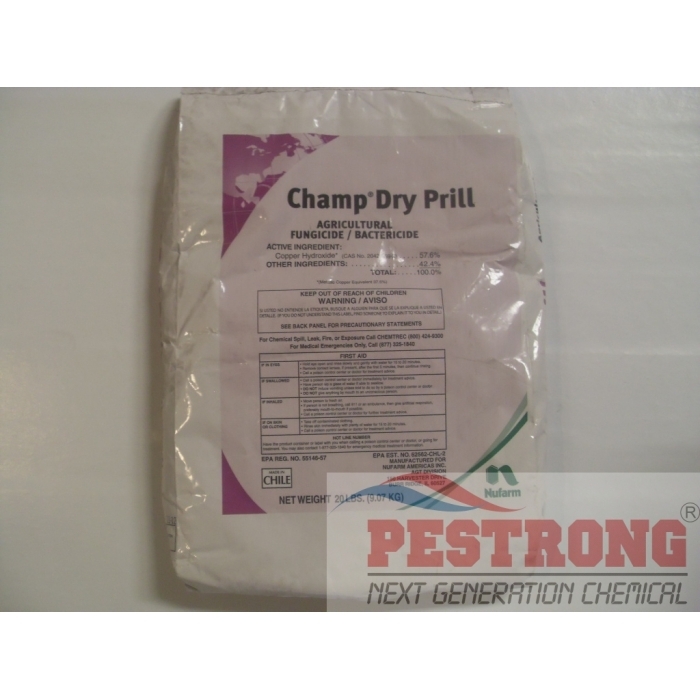 Champ Dry Prill Copper Fungicide Bactericide - 20 Lb is an advanced copper formulation that delivers excellent disease control. Champ Dry Prill is the only dry prill copper available for no-dust mixing and handling. Use for Berry, vines and hops, Citrus crops, Field crops, Tree crops, Vegetable crops. On vegetable crops use 25 to 100 gallons of spray mixture per acre; on fruit and nut trees use 250 to 800 gallons per acre. As much as 1,500 gallons per acre may be needed for large trees. On vegetable crops use 5 to 20 gallons of spray mixture per acre; on fruit and nut trees use 25 to 250 gallons per acre. Use 3 to 30 gallons per acre. This works very well and without the mess that I usually have using Cupro dust. Also it comes in a much larger packaging so this lasts me a much longer time than the small 3 lb bags of Cupro.